This wonderful book explores the operations of the system from 1979 to 2009, and features photographs of every type of transit equipment operated since 1979 on the MBTA. 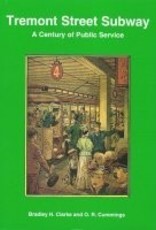 This includes rapid-transit trains, light-rail vehicles, trackless trolleys, buses, Commuter Rail trains, and even boats-all of which make up the transit operations of the "T." The book begins with an overview of operations and major events during these 30 years, and touches on the Authority's future. Maps of each line, shown from 1979 and 2009, also emphasize the many changes that have occurred. Published October 2009; 64 pages; 89 photos; full-color; softbound; 11" x 8.5". Author: Michael R. Prescott. 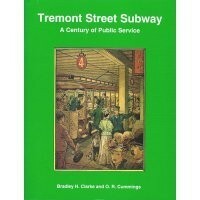 Published by the Boston Street Railway Association. Series: Bulletin (Boston Street Railway Association), No. 22.